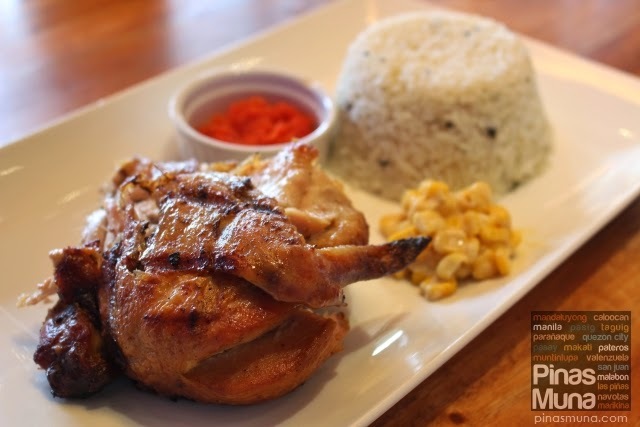 Gostoso Piri Piri Chicken is a casual dining restaurant in Kapitolyo, Pasig City specializing in frango assado com molho de piri-piri, a traditional Portuguese dish of roasted chicken served with a spicy sauce commonly known as Piri Piri Chicken. 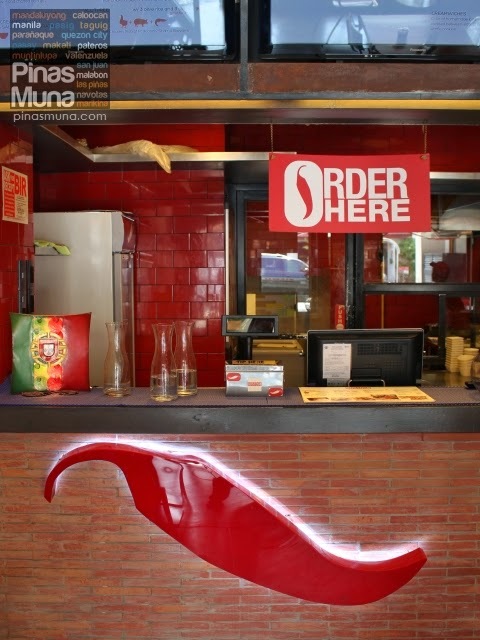 The restaurant's marinade and spicy sauce are based on the family recipe of one of the restaurant's partners, Mr. João Braquinho, who hails from the Alentejo Region of Portugal. A stark contrast to the traditional dishes served by Gostoso is the rustic and modern industrial design of the restaurant's interior. The use of bare concrete walls, warm wood and brick accents, and industrial lighting are typical of cosmopolitan New York restaurants, thus attracting a younger crowd of food enthusiasts eager to try new flavors. 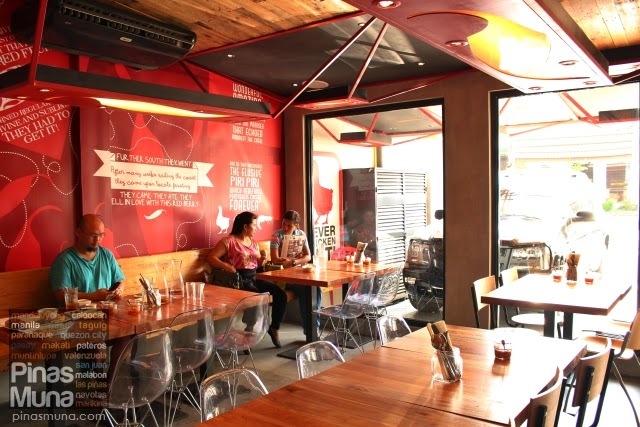 On the other hand, being located in a residential area, Gostoso Piri Piri also caters to families looking for a cozy dining experience right in their neighborhood. Their menu is also family-friendly. 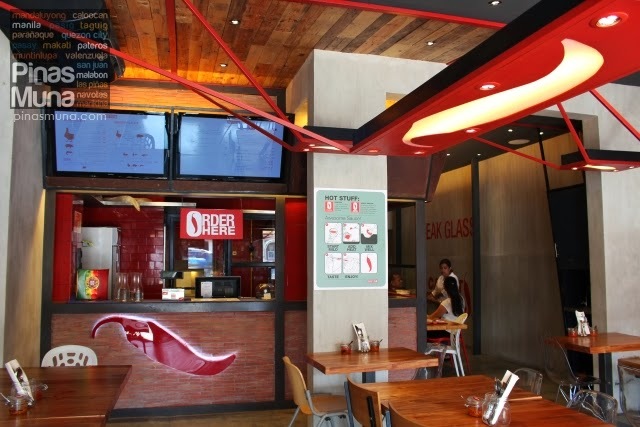 Its very much focused on a very few food items, and the owners really intend it to be uncomplicated. 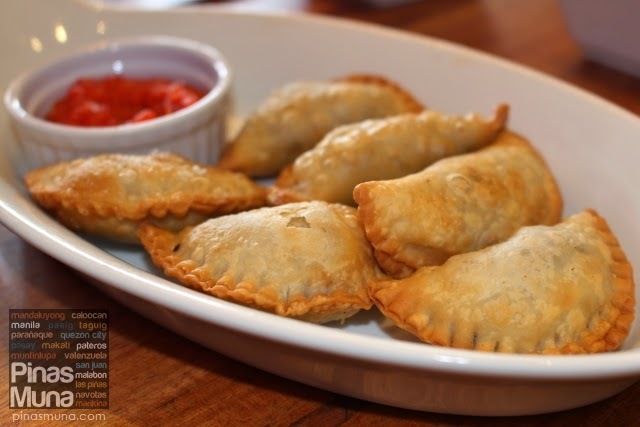 We started our meal with Bolsas (P155.00) an appetizer dish of minced meat in flaky pie pockets. They resemble the shape of the more familiar empanadas, only bolsas are smaller. It is served with a side of mild piri piri sauce. 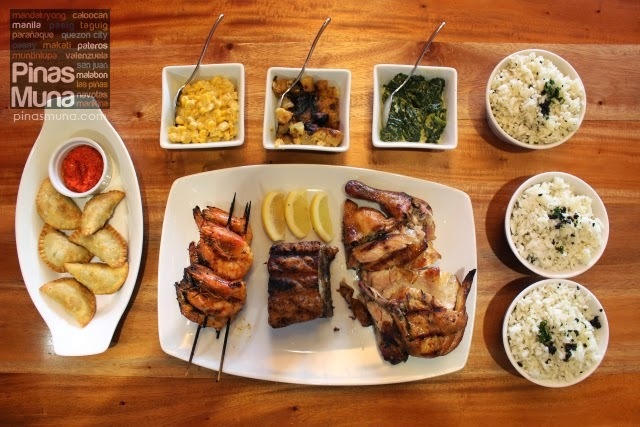 If it is your first time at Gostoso (like us), we recommend their Gostoso Platter: All Three (P1,100.00). 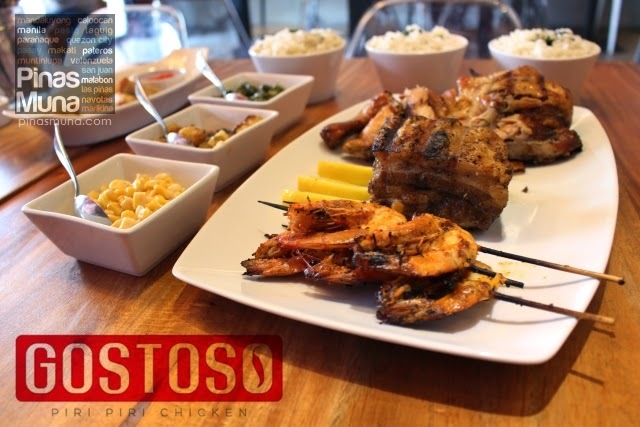 It includes Gostoso's three main dishes, the Piri Piri Chicken (half chicken), a slab of Porco Gostoso, and five pieces of Espeto de Gambas. The platter also comes with three sides of your choice. 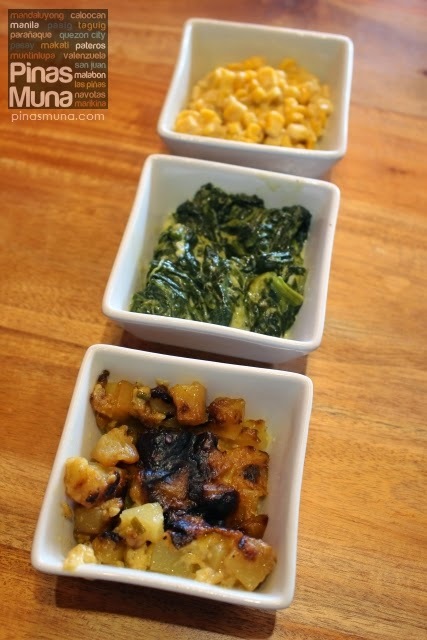 On the photo (top to bottom) are Creamed Corn, Creamed Spinach and Potato Gratin. Edgar liked the creamed corn while I enjoyed the creamed spinach. Three cups of Olive Rice are also included in the platter. The platter is good for 3-4 persons. 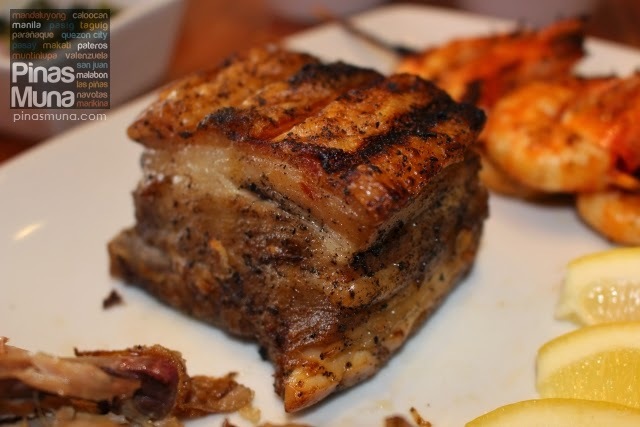 The Porco Gostoso is a prime pork rib that was braised for hours and slowed-roasted until the skin is crispy while the meat stays tender and juicy. The flavor of the pork tasted like no other roasted pork dishes. The light flavor of the olive rice tones down the salty and savoury profile of this dish. Squeezing lemon on this dish also balances all the flavors. Porc Gostoso is also available as a la carte valued at P330.00. The Espeto de Gambas is a traditional Portuguese dish made of shrimps threaded through skewers and charred on grill. If you are not into pork or chicken, then this is definitely for you. It has a lighter flavor compared to the Porco Gostoso. The charring process renders the shrimp quite dry so squeezing a few lemon wedges on them re-hydrates the meat and balances the flavors as well. 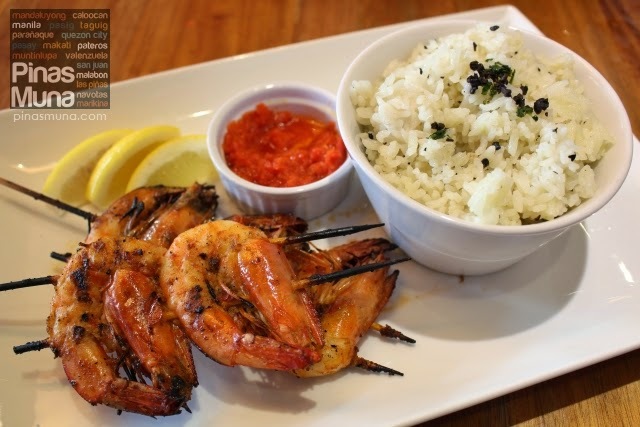 Espeto de Gambas is also available from the a la carte menu at P335.00. The star of Gostoso, the Piri-piri Chicken! The marinade used really brings a very unique flavor to this dish, a flavor that completely distinguishes Piri Piri Chicken from other roasted chicken dishes. The taste isn't really foreign or exotic. Portuguese cuisine uses almost the same spices used in Iberian and Mediterranean cooking thus making Piri Piri Chicken palatable to the Filipino taste. Of course, the piri piri experience would not be complete without using the piri piri sauce. But first things first, what exactly are piri piri. They refer to the African bird's eye chili, a close relative of our very own siling labuyo. Gostoso Piri Piri offers two kinds of piri piri sauce, the Starter (a mild piri-piri sauce) and Joao's Piri-Piri (spicy piri-piri sauce). 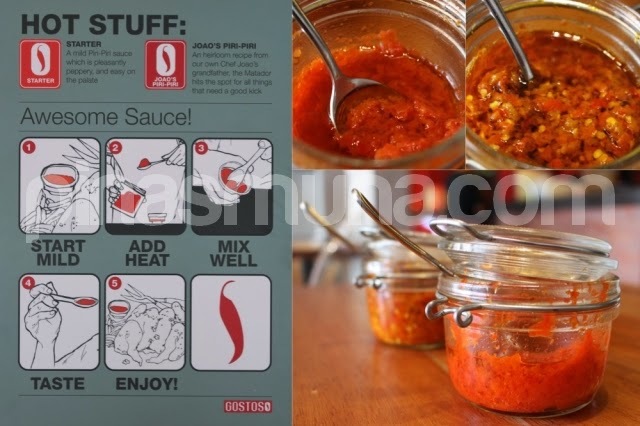 Below are the instructions on how to customize your piri piri sauce to fit your taste. Overall, we had a great time having lunch at Gostoso Piri Piri. We are glad to have finally tasted this classic Portuguese dish in no other place that our hometown of Pasig. It's really amazing how Kapitolyo has changed a lot over the years. It is now a famous dining destination in Metro Manila for foodies who wish to explore new and exciting cuisines. 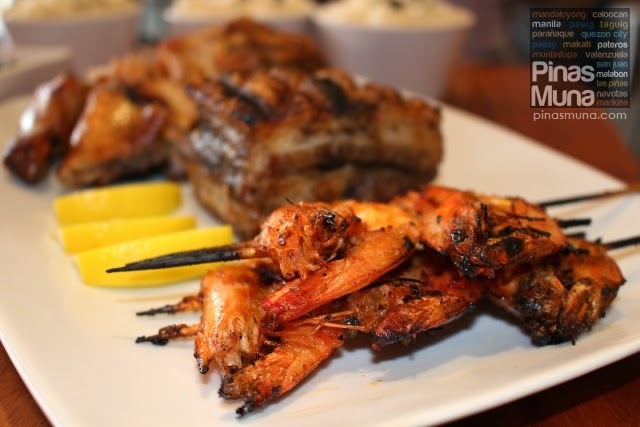 Gostoso Piri Piri is a welcome addition to the roster of restaurants offering a unique dining experience in Kapitolyo. We would like to express our gratitude to Gostoso Piri Piri for having us and we look forward to visiting your new branch in U.P. Town Center, QC. 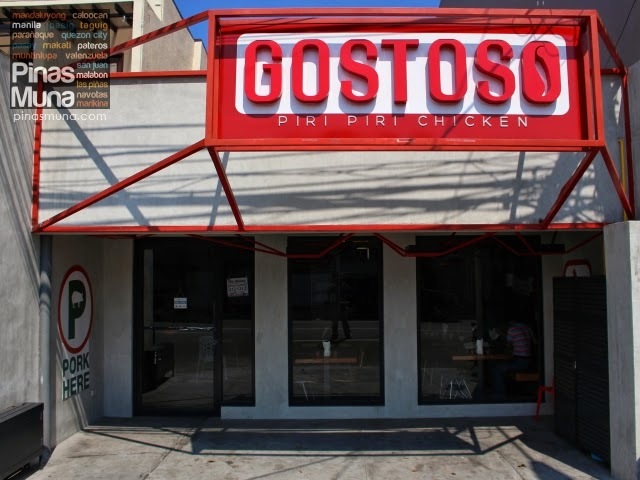 Update: Gostoso Piri Piri opened its second branch at the UP Town Center last October 3, 2014.